Sermon preached on Amos 2:6-16 by Rev. 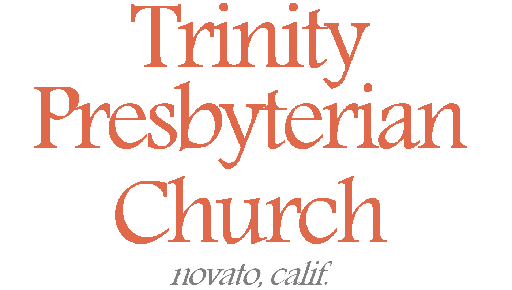 W. Reid Hankins during the Morning Worship Service at Trinity Presbyterian Church (OPC) on 10/1/2017 in Novato, CA. Actually, this judgment oracle has the same overall formula and structure as the other ones, except that it’s much longer. The reference to a fourth transgression much surely be poetic because here Amos mentions more than just one more sin of Israel. This one more transgression is more like seven or eight depending how you count them. If Israel wanted to compare themselves to their enemies, if anything Amos says they are worse. If Israel thought these other nations deserved God’s judgment, they deserved at least as much. And so, in this climactic “gotcha” moment, an important truth emerges. Outwardly being a member in the old covenant, didn’t mean you were actually saved. Or to say it in terms we might better understand: being a member in the church, doesn’t guarantee your salvation. Or to say it yet another way, Romans 9:6, “For they are not all Israel who are of Israel.” Under both old and new covenants, there have been members outwardly and externally in the covenant, who haven’t really tasted of the substance of the covenant. They’ve not been born again; they’ve not truly known the Lord; they might go through the motions, say the right things at church, but their hearts are really far from the Lord. That’s the case with the nation of Israel as a whole during Amos’ time. They were full of so many people who weren’t living for God like they were supposed to be. And so, God sent the prophet Amos to them to declare that they were in violation to the covenant. So then, as we dig into this oracle, we’ll begin by looking at Israel’s sin as described in verses 6-8. Largely, we find here a concern about the way the rich and the powerful in Israel had been afflicting the poor and the humble. This comes across right away in verse six, saying that Israel has been selling the righteous for silver and the poor for a pair of sandals. It goes on in verse 7 to talk about them afflicting the poor and perverting the way of the humble. This is Hebrew poetry, and we can recognize a form of parallelism here. So, let’s walk through those. The reference in verse 6 to the righteous is an inherent contrast to the people who are afflicting them. Whoever is selling the righteous is implied to not be the righteous one. Though, here this reference to being righteous probably has in mind a legal conflict. You see, when it talks about selling the righteous, this likely has in mind a bribe being paid to a judge to pervert justice. The righteous person, aka the innocent person in the conflict, is getting justice perverted against them because the other side is paying off the judge. They are essentially being sold for money. That’s likely what’s involved here. This practice is confirmed elsewhere in Scripture too. For example, Isaiah 5:23 speaks about those “who justify the wicked for a bribe, and take away justice from the righteous man!” So then, the parallel line here about the poor being sold for a pair of sandals further shows the issue here. The innocent person who gets such justice perverted against them happens to also be a poor person. It’s easier to try to pay off a judge if you know that the other side doesn’t have any means to match your bribe (not that they should try, of course). And the reference to the pair of sandals suggests that the judges were willing to pervert justice for even such a small sum like a pair of sandals. Very sad state of things in Israel with that going on. The little guy trying to do the right thing can’t get justice but rather finds himself exploited and sold out, indebted to the people who rigged the system in the first place. The reference in verse 7 has been a bit of a challenge for translators. It either means that the rich wicked people were so greedy that they even wanted the dust on the poor people’s head. That’s how the pew Bible translates it. Though, an alternative translation for the word “pant” is “trample” which could give a translation that the rich wicked people are trampling the poor people’s heads into the dust of the ground. But I prefer the latter translation. This is further language of them afflicting the poor people. So then, when it talks about perverting the way of the humble, it’s all dealing with the same idea. To pervert his way is to turn aside his cause. To not give attention to his concerns. They just ignore his claims or reject them. Like that wicked judge in the persistent widow parable, the concerns of the weak and humble are ignored if they can get away with it. In the last part of verses 7 and 8 we see more sins while still arguably having in mind how the rich and powerful have been afflicting the weak and humble. Verse 7 ends with a description of sexual immorality. Interestingly, this is of the same kind as what Paul was shocked about in 1 Corinthians 5. Paul said there that such kind of sexual immorality wasn’t even practice among pagans. That’s an interesting thought when you remember our context of comparing Israel with pagans. How does this reference fit with the previous theme of afflicting the poor and weak? Well, we might wonder why such a girl would be willing to be with both the father and the son. It’s quite possible this envisions a girl that was sold into some kind of slavery and then taken advantage in this way. Context might suggest understanding that in this way. Similarly, in verse 8 we see reference to some form of perverted worship, speaking of an altar and a house of their god. Remember that Israel didn’t worship at the right altar or in the right house. They didn’t worship at the temple in Jerusalem but in Bethel and Dan with their golden calves. But the bigger theme seems to be the further exploits of the poor and humble. Notice the clothes taken in pledge. The Scripture says that if you take a cloak from a neighbor in pledge you need to give it back to them at night so they can sleep on it and stay warm, Exodus 22:16. And then in the reference to the wine of the condemned, this is referring to wine taken as a fine from someone who is found guilty. Again, in the context of justice being perverted, we should be suspect of such wine. It all fits the same theme. These worshippers bring cloaks and wine of other people, cloaks and wine that aren’t really theirs, and use them in whatever form of perverted worship that they are engaging in. So, we have this picture of Israel’s sin here; how they’ve afflicted the poor and humble in Israel. Let’s turn now in our second point to see why God says this is especially bad. Looking at verses 9-12 we see God give them a history lesson. This history lesson describes the foundation for Israel’s relationship with God. For an Israelite, it should remind them of their covenant with God. So, then, in light of the sins that were just mentioned, it should tell them that they are in violation of that covenant. This is the Lord of the covenant reminding them of the foundation to their relationship. This makes their violation of the covenant so especially wrong. So, in verses 9-10 we see a few key historical events mentioned. The exodus from Egypt is mentioned in verse 10. How God brought the people through the time of the wilderness wandering after that is also mentioned in verse 10. This is all bookended with a description of the conquest of the Promised Land. God gave Israel victory over the Amorites who were inhabiting the land before them. So, the point is clear. God as their covenant Lord had redeemed them from slavery and placed them in freedom into a land of milk and honey. His covenantal demands upon them were justified. And if that wasn’t enough, God then proceeded to give them prophets and Nazarites. These were people gifted and called by God to bless the people spiritually. These were meant to help the people stay true to the covenant. Yet, the people didn’t accept their ministry. They got the Nazarites to violate their vows to God by giving them wine. They forbid the prophets from prophesying. I remember what Jesus would later say about Israel, that Israel had a history of persecuting prophets, Matthew 5:12. Verses 9-12 are so damning when you think of this oracle against Israel in light of the other oracles just given against the pagans. These pagan nations hadn’t known these special covenant mercies and graces from God. Yet, they were being held accountable for their sin. These pagan nations were like the Amorites mentioned here, under God’s judgment for their sin. Yet, Israel, had received such mercies and graces from God. Israel had even seen in the past God judge pagan nations like the Amorites for their sins. God’s blessings to them should have led them to want to love and follow God. But it didn’t. And so, these verses stand out because it says Israel should have been different than all these pagan nations. They should have lived in a special way, a sanctified, set apart way. But instead, in reality, they were acting just like the pagan nations. Well, what will happen to those pagan nations – that’s what God threatens them with as well. This is the last point for today. This is verses 13-16. God says in verse 13 is weighed down by their sin. This is another difficult verse to translate; some versions think this is God saying that he’ll press the people down. But I believe in this case the pew Bible has the best translation. This seems to be describing God’s patience running low as he is burdened by Israel’s continued sin. So then, verses 14-16 describe the same kind of judgment through variations of one main theme. The theme is that of reversal. Or to put it in Jesus’ words, “the first will be last”. It talks about people who in this life might be the strong and the powerful, but that will be reversed when the judgment of God comes upon them. So, in verse 14, the swift will lose flight, the strong will lose power, the mighty won’t be able to deliver. Verse 15 is similar, there how the strong won’t be able to defend themselves against God’s just judgment: the archer won’t be able to stand up and shoot his arrows. The swift-footed won’t be able to run away. The horseman won’t be able to get away on his horse. And then in verse 16, the courageous person will have their courage reversed. They’ll run away in fear. And so, we see the reversal theme here. And it is fitting. This is another lex talionis, the punishment fits the crime. The strong and powerful in Israel had been afflicting the weak and helpless. So, their punishment will be to have that reversed. The first will be last. When will that happen? We see a reference to a day again in verse 16. You might recall the earlier oracle of judgment that talked about a day of judgment. I used that to launch out a discussion of the coming day of the Lord, that final day of judgment. Well, for Israel, they found an initial day of judgment in 722 BC. That’s when the Assyrians conquered Israel. Then there was the beginning of some reversal. In fact, anytime such a wicked person dies, they experience the beginning of this reversal in hell. Remember Jesus teaching the story about the rich man and Lazarus in Luke 16. There, Abraham said to Lazarus when he was in torment, Luke 16:25, “But Abraham said, ‘Son, remember that in your lifetime you received your good things, and likewise Lazarus evil things; but now he is comforted and you are tormented.’” That’s the same reversal theme. At death, this reversal already begins. But there will come a final day of judgment when Christ returns, when that reversal idea will be brought to the full then and into eternity. I would like to clarify here that being rich and strong in this life is not a sin. The Bible is not saying that if you are rich in this life you are going to be poor in eternity. Rather, remember the context here. Amos is addressing those rich that afflicted the poor. They sinned against them. They failed to love their neighbor as themselves. In sinning against the poor, they ultimately sinned against their covenant God and betrayed the very religion they supposedly professed. That is why the reversal is being threatened upon them. Because you say, ‘I am rich, have become wealthy, and have need of nothing’ — and do not know that you are wretched, miserable, poor, blind, and naked — “I counsel you to buy from Me gold refined in the fire, that you may be rich; and white garments, that you may be clothed, that the shame of your nakedness may not be revealed; and anoint your eyes with eye salve, that you may see. “As many as I love, I rebuke and chasten. Therefore be zealous and repent. Jesus wrote that to the people in the Christian church. What a similar theme and message that Amos brings to us today. If you have trusted in your wealth and made it your chief pursuit, even at the expense of others, repent. Repent and find true heavenly treasure in your Lord who freely offers it to you even now. I do offer one more encouragement and application to the church today. As we read this passage today, we see it directed to those in the church who had been afflicting others in the church. That mean there are afflicted people in the church. They aren’t addressed in this passage here. But there was an implied message to them. God sees their plight and is acting. Or let me say it this way. Jesus not only said that the first will be last. He also said that the last will be first. The reversal goes both ways. Jesus repeatedly spoke of the positive reversal that will happen to the poor and needy who come to him for help. Think of the beatitudes, as an example. And think of how Jesus secured such a positive reversal for his afflicted people. He did it by becoming afflicted himself. Jesus himself had justice perverted against him in the courts of men. That happened after he was himself, the righteous one, was sold for thirty pieces of silver. Jesus came poor and humble, having no place to put his head. He came in meekness to go to the cross, and die in our place. And yet in that affliction of afflictions, his strength was demonstrated. In that moment, he bound the strong man that he could plunder from him. In that moment, he set at liberty those who are oppressed. Jesus himself has experienced that reversal; from the cross and grace to ascending on high and being seated at the right hand of God the father. If you are afflicted here and now in the church, cry out to the Lord. Know his love and care. Trust that even now you have begun to taste the reversal by being in Christ. Believe that you will taste it in the full at the glorious day of Christ’s return. Christ he bore our shame and sorrow at the cross but ultimately rose in power and great glory. And he has now achieved a kingdom that turns the kingdoms of this world upside down. Let us wait in faith and hope for the final coming of that kingdom. Amen.